Christmas in Japan is celebrated a little differently than in other countries and some traditions are unique to the land of the rising sun. One of these is Christmas Cake - a very special cake with certain required ingredients. 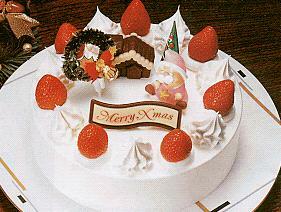 You can visit most any bakery in North America in mid-December and see many kinds of Christmas cakes for sale. Most use traditional Christmas colors like red and green to distinguish them, along with the usual "Merry Christmas" legend written in icing. As well, you can find round cakes, log cakes and - shudder of shudders - fruitcakes. Walk into a bakery in Japan and you won't see any of these, at least not if they're catering to the locals who demand their traditional Japanese Christmas cakes. These special cakes use only certain ingredients and have their own special style that specially distinguishes them from your garden variety, all-season cakes. What ingredients, you ask? 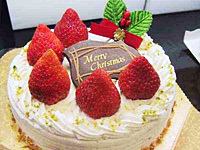 Well, Japanese Christmas cake can be described as a glorified strawberry shortcake. That means it starts with a sponge cake base, then comes the frosting: white, of course, and ideally made with fresh whipping cream. 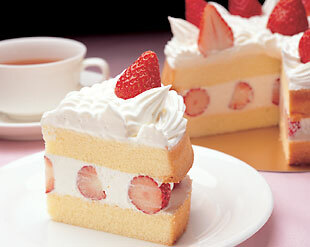 Fill & top with juicy strawberries and maybe a few strategically placed chocolates for effect. Santa ought to eat a few of these each year to keep him in holiday trim! 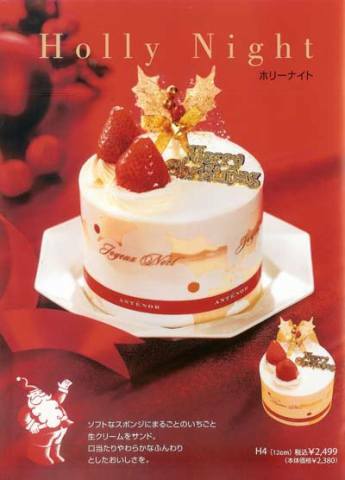 There are many recipes available online if you're going to bake your own Japanese Christmas cake, and here is one of the better ones. Most of us though, Japanese natives included, are busy enough this time of year and simply buy a nice cake from the bakery. They're not exactly cheap, of course - the smallish cakes I observed at a favorite Japanese bakery here in Toronto this past weekend were priced at $23 each - but you can be assured of getting a delicious cake made with quality ingredients that's not sweet as many North American store-bought cakes. As they say in Japan, "Merii Kurisumasu!" How Instagrammable Is Instagram For Your Small Business?